CIMCON’s Wireless Gateway serves as a “switchboard” for a group of intelligent wireless lighting controllers (iSLCs) to communicate with the CIMCON cloud-based Central Management System. Gateways use backhaul communications networks such as GPRS and Ethernet and also include a ZigBee® radio module for self-organizing, self-healing local wireless mesh networking. Robust and Reliable: Communicates with up to 1,000 CIMCON intelligent wireless lighting controllers (iSLCs) spread across significant distances with high scalability and fault tolerance, using self-forming and self-healing mesh networking. 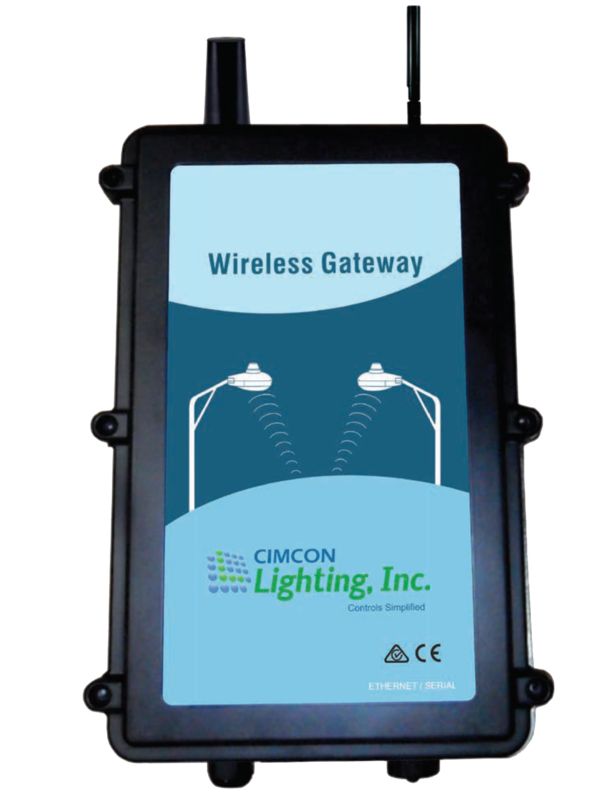 Wireless Technologies: CIMCON’s Wireless Gateway utilizes the latest developments in wireless technologies to conﬁgure and collect data from CIMCON’s intelligent wireless lighting controllers (iSLCs) and transmits data to and from the CIMCON cloud-based central server. Local Intelligence: CIMCON’s Wireless Gateway uses an extremely powerful 32-bit microcontroller that enables local complex logic and intelligence for faster response times and better performance. Local Data Storage: CIMCON’s Wireless Gateway can store large amounts of data in the event of a communication link failure. This data is transferred to the cloud and CIMCON’s cloud-based Central Management System once the link is available, thus ensuring data integrity. Multiple Connectivity Options: CIMCON’s Wireless Gateway offers several wired and wireless options to connect to the cloud including Ethernet, Serial/USB Interface, GPRS (Cellular) support. Simple Remote Configuration: CIMCON’s Wireless Gateway can be remotely conﬁgured from an easy-to-use web interface. Conﬁgurations include: input and output mapping, polling rates and GPS coordinates. Multiple Protocol Support: CIMCON’s Gateway provides support for several industry standard protocols that enable easy integration with other systems and networks. Simple Installation: CIMCON’s Wireless Gateway can be pole or rooftop mounted for easy installation. ©2019 CIMCON Lighting, Inc. All Rights Reserved.